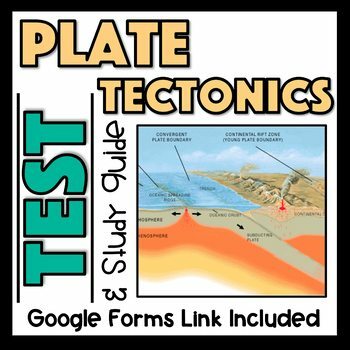 Plate Tectonics Study Guide, Tests, and Answer Keys. 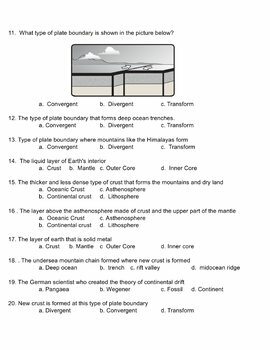 The study guide and test covers Earth's Internal Structure, Continental Drift, and Plate Boundaries. 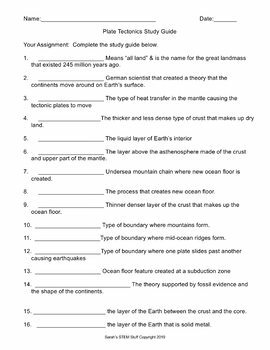 The study guide contains 20 fill in the blank and short answer questions to help students review for the test. 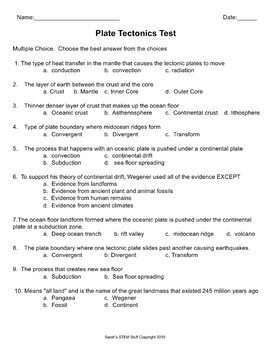 The test contains 20 multiple choice questions. Answer keys to both are provided. Digital or Print Format. This download includes a powerpoint document that is editable to change questions to best meet your needs or print is as is and you are ready to go. Links to Google docs/forms are also included. Google versions are also editable to customize for your class. Go Paperless. Tips for using Google Forms in your classroom is also included. Don't forget to leave feedback! !